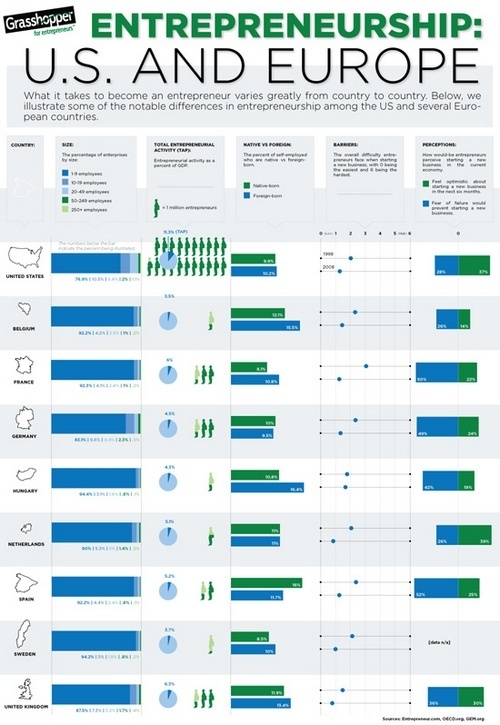 Search Results for – "Entrepreneurs"
What it takes to become an entrepreneur varies greatly from country to country. 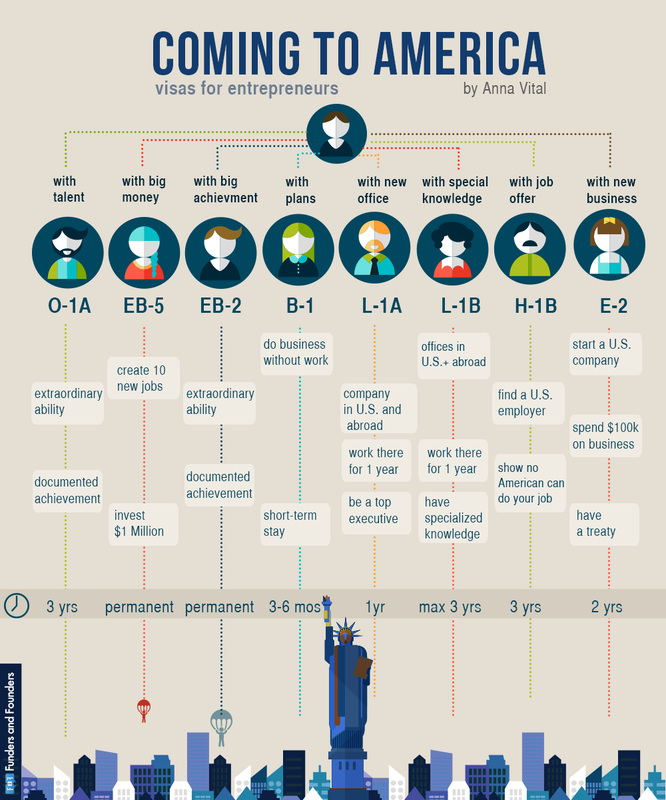 Below, we illustrate some of the notable differences in entrepreneurship among the US and several European countries. 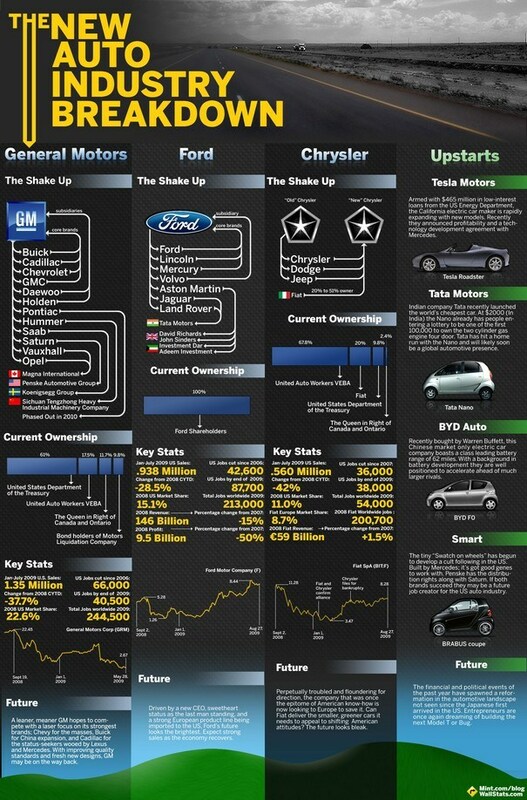 It’s been a rocky road for the Big 3 automakers as they’ve struggled for survival and relevance in a down economy. In the biggest auto industry shakeup in 30 years, existing companies have been re-organized, torn apart, or sold off, resulting a complete reshaping of the auto industry landscape. Whether through government handouts or good old American ingenuity and entrepreneurship, GM, Ford, and Chrysler are revitalized and ready to deliver the exciting and environmentally friendly automobiles that consumers crave. But unlike the 70s, when American automotive manufacturers faced a threat from the Far East, today that threat comes not only from that part of the world but from newer more nimble competitors such as Tesla, right here in their own backyard. Our infographic breaks it down.